When you think of voice assistants, you probably think of Google Assistant, Apple's Siri, and Amazon's Alexa – but that could all change, thanks to Mozilla's Common Voice Library project. The Common Voice Library, which was released today, is an open source collection of human voices speaking in 18 different languages, including Dutch, Esperanto, Farsi, Welsh, and Hakha-Chin. 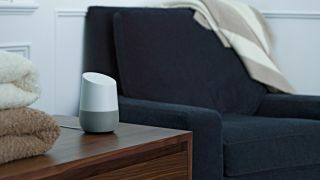 Our guide to whether you're better off with an Amazon Echo or Google Home. While Mozilla has been working on the project for a few years now, the Common Voice Library has grown enormously over the last year – a report by Engadget says that "the collection is composed of 1,400 hours of recorded voice clips from 42,000 contributors." Anyone can contribute to the library by reading phrases aloud on the website. By providing a huge library of human voices in a range of languages for free, Mozilla could be opening the doors for companies that don't have the resources of Apple, Amazon, and Google, to develop their own voice assistants. Whether this will lead to an influx of new voice assistants and voice-enabled devices remains to be seen, but having this open linguistic repository could be extremely useful for language researchers as well as tech developers in years to come.